Johannesburg is a fast-paced city. It’s the largest city in South Africa and considered one of the largest metropolises in the world. You can discover everything from museums to sporting activities to amusement parks in this city full of modern architecture and high-rises. However, most people aren’t booking a week vacation here, instead, it’s often a stop on a longer tour of the country or safari, and often just one day. But with only 24 hours, expect to be in constant motion to experience as much as you can do. 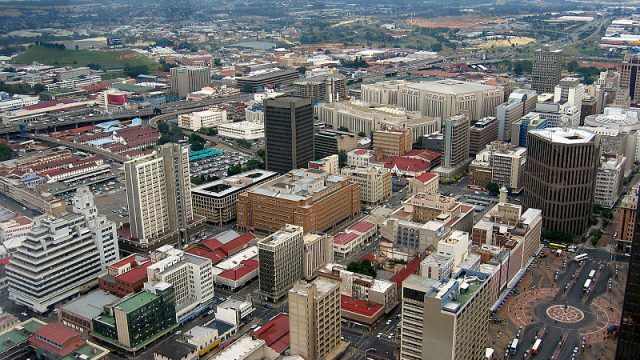 Johannesburg has a large population, so the streets and destinations around the city could get crowded very quickly. Starting the day off with sightseeing will give the best opportunity to get to as many landmarks as possible, avoiding any tourism rush. Getting around Johannesburg is very easy thanks to the abundance of transportation available, from public trains to taxis. You may want to begin sightseeing at a place known as Mary Fitzgerald Square. This square is located in the business center of Johannesburg. It is surrounded by many other landmarks so you have easy access to them. At certain times of the year, this square is where you can see live entertainment, including a popular annual music festival. Located next to this square is the Museum Africa, or MuseuMAfricA. This museum does a great job at showcasing African culture, with objects collected from all around the continent. Another place to see great artwork is the Johannesburg Art Gallery, the largest in the country. It hosts exhibitions ranging from European artwork to South African artwork dating back to the 15th Century. 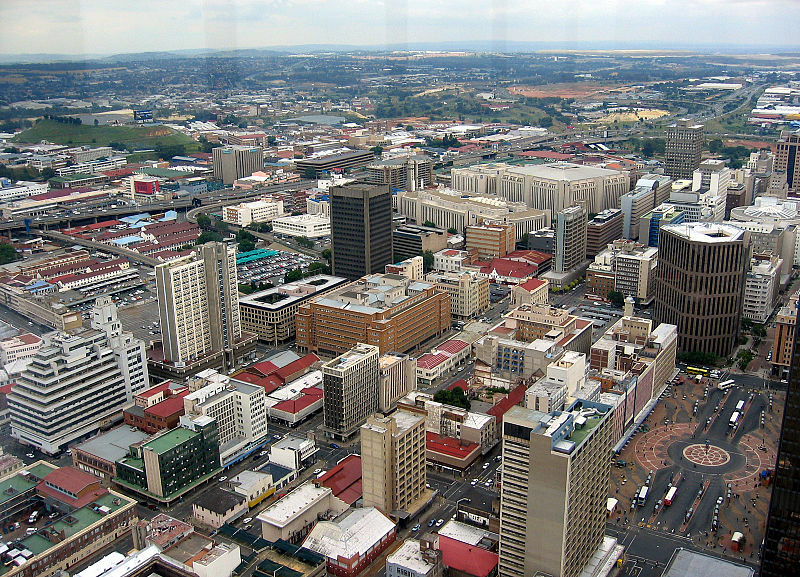 The city of Johannesburg includes the former township of Soweto. The city has historically been affected by apartheid, which was a separation of classes. Soweto is where many of the lower class citizens resided. This area has a lot of history and can be accessed on a short train ride from the city. This is where you will discover the former home of Nelson Mandela, which has since been converted into the Mandela Museum. After a full morning of venturing around the city, you’ll surely be craving something to satisfy your hunger. South Africa has a very rich cuisine and Johannesburg is the perfect place to experience the best of it. You can easily find small local shops, markets, or even food stands around the entire city. For something familiar, Johannesburg also has many of the popular international food chains. South African culture has a large focus on meat dishes as their traditional meals. One of the most common dish found in Johannesburg is the Boerewors Roll. This meal is comparable to a South African style hot dog/bratwurst. This can be found at nearly every restaurant and even along the street. Other great options include curry dishes and haute cuisine. The best thing to do after dining like a South African is to get active, as the meals can be quite filling. Aside from sight-seeing, Johannesburg has a lot to offer to get you moving. South Africa is known for its exciting wildlife and Johannesburg has several places where you can see the diverse range of animals and plant life. The Johannesburg Zoo is the largest in South Africa and holds a wide variety of animals. For those seeking a more natural experience, Johannesburg also has many nature reserves in a short drive which keep the animals in their natural habitat. For those looking for a different kind of fun and excitement, Johannesburg also has a unique amusement park called Gold Reef City. The park was built on a former gold mine and themed as such. You’ll find the usual attractions including roller coasters, water rides, and a Ferris wheel. If you’re feeling lucky, you could even try your hand at the casino. Another option is to keep your eyes peeled for gold while taking part in the underground mine tour. Looking for souvenirs? The city offers lots of shopping options, both for local good or recognizable brands. There are lots of markets located all around the city to find unique art, handicrafts, and even herbs and spices. Johannesburg also has many modern shopping malls including Sandton City. Now that you’ve had a full day of exploring Johannesburg, take dinner up a notch by trying out some of the more upscale dining options that Johannesburg has to offer. Depending on your mood, you can choose to go with anything from an outdoor restaurant with incredible views or a more intimate setting while dining with live music. You can be sure that the food is just as good as the restaurant experience. For some, dinner may mean the end of the night. For others, it could mean that their night is just getting started. Johannesburg has some of the most dynamic nightlife scenes in all of South Africa. There is essentially something to do for anyone looking to have a great time. Johannesburg has many venues for those interested in the party scene. There are countless dance clubs, bars, and local pubs around the entire city. Some of the most common areas to find people hanging out are in Melville, Rosebank, or Newtown. Johannesburg is also well known for its performing arts scene. It attracts many international acts across a broad range of industries. The Market Theatre holds many shows in either of its three inclusive theatres. Johannesburg is often a destination for many music festivals and other international events, so there’s sure to be something going on while you’re in town.